Self-tapping tips with a fine thread pattern designed to eliminate splitting. 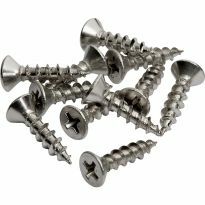 These zinc-plated pocket hole screws from Kreg are a solid, affordable choice for indoor projects with limited exposure to the elements. They feature self-tapping tips with a fine thread pattern designed to eliminate splitting, and are ideal for a variety of tasks, including face-frame assembly. The pan-head is slightly smaller than a washer head, making it the preferred choice for extremely hard woods or thinner material such as 1/2'' stock. Pan-head screws also have a smaller shank diameter, which further reduces the chance of splitting. 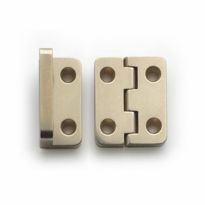 Chrome/zinc finish resists corrosion. Heat treated. Daughter and niece wanted headboards. They picked the designs and we saw that the best way to secure some of the boards was with pocket screws. The Kreg jig and the screws were really quick and easy to use. The joints turned out terrific also. Highly reccommend. These fine threads are needed for good attachment for hardwoods. The smaller head makes a neater job. Great for small projects used them on my window jam extensions. They worked very good with my porter cable machine. If I need more I know where to get them. Thank you. These are great screws. Never had any issues what so ever. Rockler was one of the only distributors that carried this item and I wouldn't have bought it from any one else. I love these on the extremely hard woods. They install easier than the #7 washer heads and are less likely to break or split the wood. Pan head pocket screw was excellent. The Kreg fine thread pan head pocket hole screw was excellent for my project. Thanks. Excellent service and very fair price. 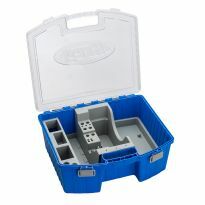 Another fine product from Kreg, what's to say? We switched to pan heads over standard Kreg screws because we had a persistent problem with wood cracking on the corner joint. Since switching the problem has disappeared. 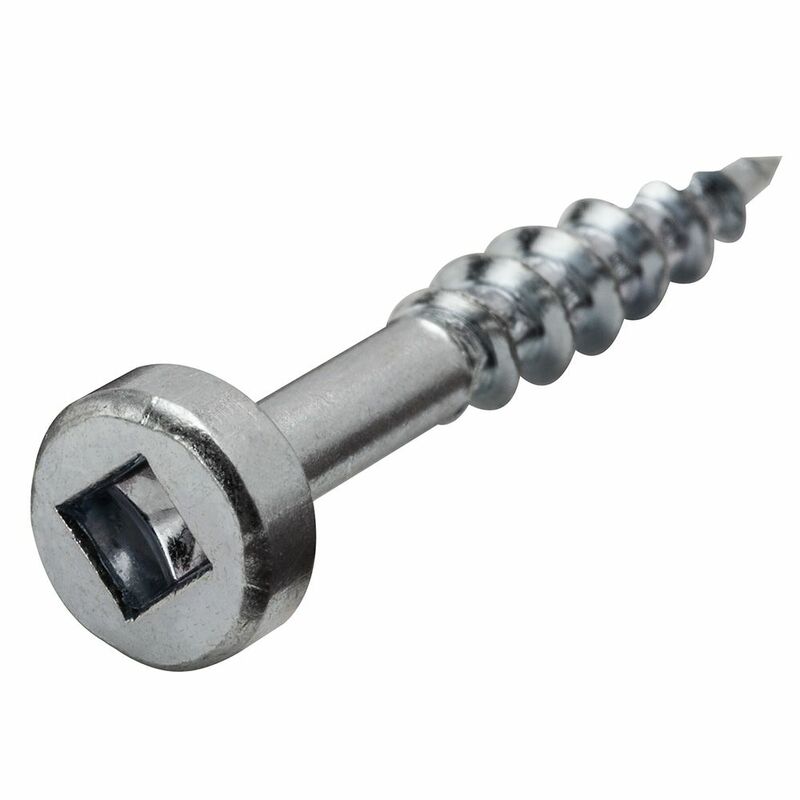 High quality pocket screw just be sure that you are ordering the correct length. I love Kreg screws, as they are precise, strong, and go all ahead until the top! I am remodeling our entire kitchen. I am building all the cabinets myself out of red oak. I use these screws on the cabinet. I Kreg the holes and these are the best screws I have found for the job. 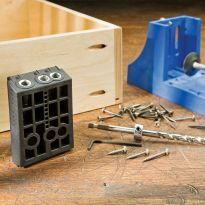 Been building furniture, indoor and out, and doing construction for many years, and it has never been easier than using the Kreg tools and fasteners. 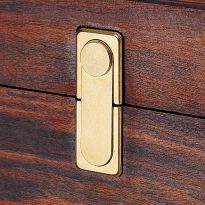 These went into my latest product, a custom designed Japanese Tansu-style cabinet. I have used them on building a tool chest that is 5 ft. tall 36 inches wide and 24 in deep. 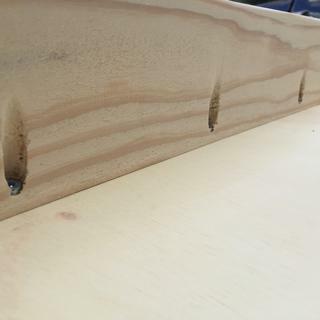 Using these screws along with glue to hold 2 shelves and the top worked out O.K. without the glue I am not sure the screws would hold in plywood. I could have ordered a 1/4" longer, but these work quite well with a very snug fit. Hard to find...provides much greater strength and stability to pocket joinery than conventional wood screws. I have occasion to use the smaller screws and they are hard to find locally. I work with a lot of hard wood and needed something I could trust to do the job. 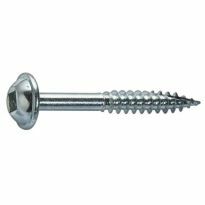 washer head screw (with veneer) and is stronger than countersink screws. I also like the square head drive. It was a better price than a Seattle based online retailer. Thought I would try these. They are new to me. JUST RIGHT FOR THE EXOTIC WOODS I USE IN MY FURNITURE BUSINESS. I use the kreg system to build. I am out of it. Always need a supply of these. I will be using hard wood. Using these for cabinetry work. Using this as the finished fastener for a speaker. Running low on hardwood screws. It is the size I need based on the wood I am using to build my cabinet. The size is not a common one is hard to find in stores for the Krieg system. Wanted to make picture frames out of 1/2 maple. superior performance- super sharp and the fine thread holds great plus, the large area head. Can you get a 3/4 in course pan head screw? How do you know what size to order? I am face framing the kitchen cabinets. I have some 1 1/4" but they don't seem to get a tight fit. Should I order the 1 1/2"? BEST ANSWER: It depend on the material you are trying to connect. For hardwoods they recommend a fine thread 1-1/4". For plywood and other sheet goods they recommend course thread. Thanks Rick. I have a big bag of 1 1/4" but with the Phillips tip. Could that be the reason? I had no problems with the square tip. The problem is I used them all up on the last cabinet job I did and didn't save the pkg to order more. I am connecting hardwoods and I do clamp them down but when I unclamp it is still loose. BEST ANSWER: what is the question? "bigger box" means nothing! 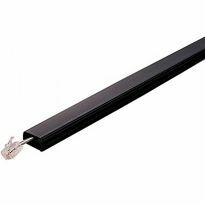 Maybe a smaller box as well as the box of 100--I needed 24 for my project, so now have about 75 "in stock"--a very good screw..
Do these come in the darker finish? I don't want the chrome finish. 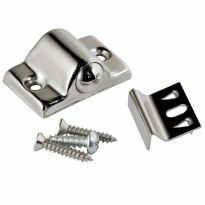 BEST ANSWER: I'm sorry to inform you that the current screws are only available in the zinc finish. However, once they are driven into the pocket hole the screws are not visible unless you are specifically looking for them since they are below the surface.